These vibrant green gems are soft, slightly sweet and leave you feeling pleasantly full and amazing. They are such a delicious and healthy way to start a day or to enjoy with family and friends for brunch on a weekend afternoon. I start each morning with a hot cup of whisked matcha, it awakens me, gets my digestive system going, reduces systemic inflammation and leaves me feeling alert but calm. 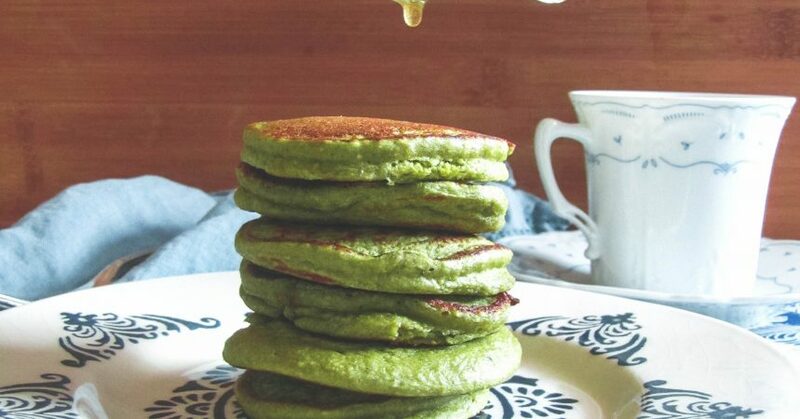 I’ve been experimenting with adding matcha into smoothies, cakes, muffins and finally these delicious pancakes. 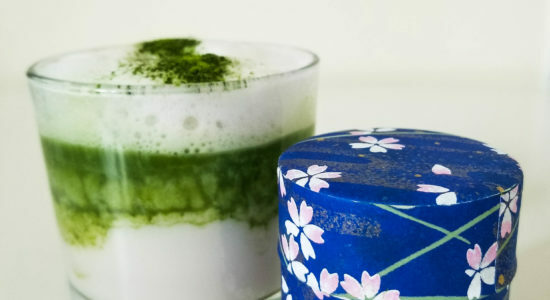 Matcha has amazing health benefits, from strengthening our DNA, working as a powerful antioxidant to prevent oxidative stress and damage, aiding in weight loss, reducing anxiety and making us better at handling stressors. Made with ground old-fashioned rolled oats, they are high in fibre and gluten-free. 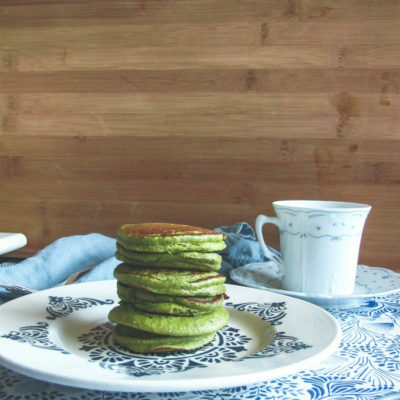 The matcha powder you use will make a big difference in the colour and flavour of these pancakes. 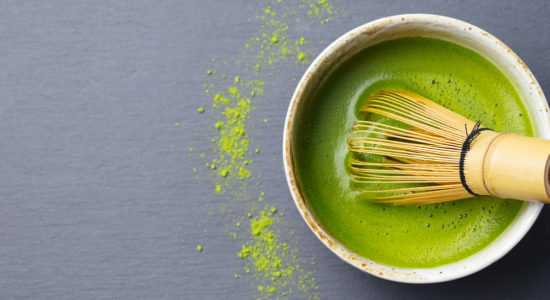 Ceremonial matcha will require you to use far less than summer harvest or culinary matcha. 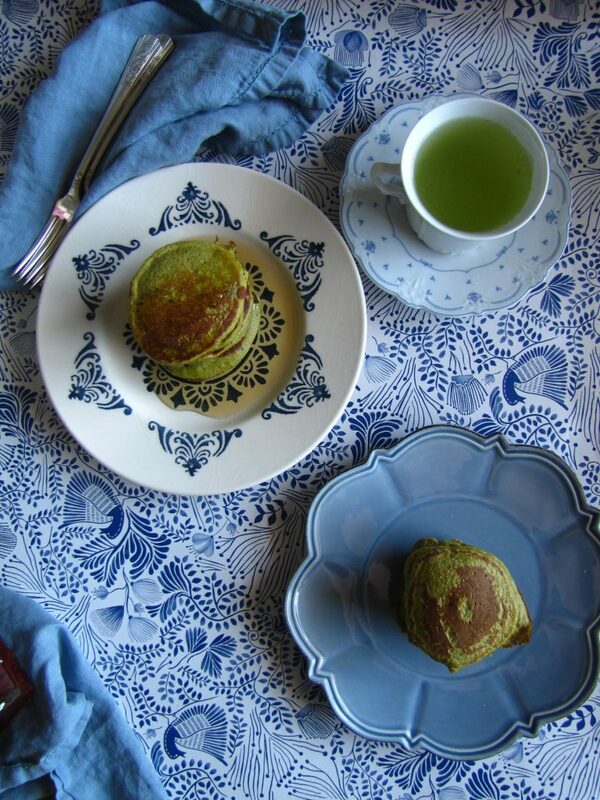 Ceremonial or First Harvest matcha has a higher profile of antioxidants, l-theanine, catechins, polyphenols, theobromine, theophylline and flavonoids. Summer harvest may require an extra tsp or two, but it will still have a nice health kick too it. 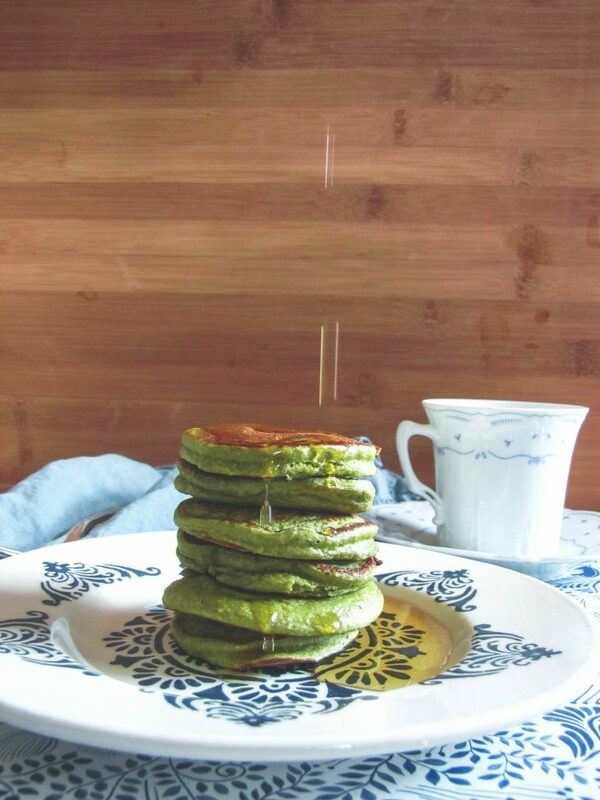 I hope you enjoy these as much as I do, they will become your go-to pancakes to make from now on. A delicious and healthy way to start the day. Gluten and Sugar-Free they pack a strong antioxidant punch. In a mixing bowl combine all the ingredients and use a hand blender to combine them all into a smooth green batter. If you do not have a hand mixer, use a fork to mash up the bananas. Once smooth, add in the eggs and vanilla and beat until well combined. 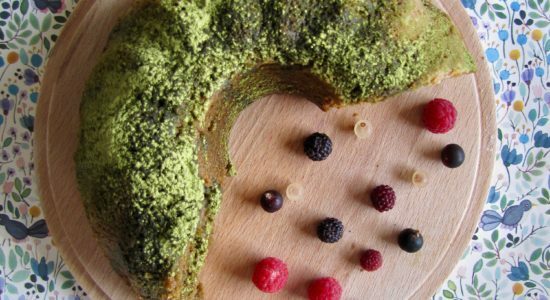 Slowly add in the oat flour, salt, baking powder and matcha. Combine until the batter is smooth. Heat up a frying pan on medium-high heat, add coconut oil or ghee (I used a combination of both) so that the entirety of the pan is evenly coated with a thin layer of oil. Use a soup spoon to ladle on to the pan. You’ll just need about 30 seconds to a minute per side. The pancake should feel slightly firm. This will make about 18-20 pancakes per batch. 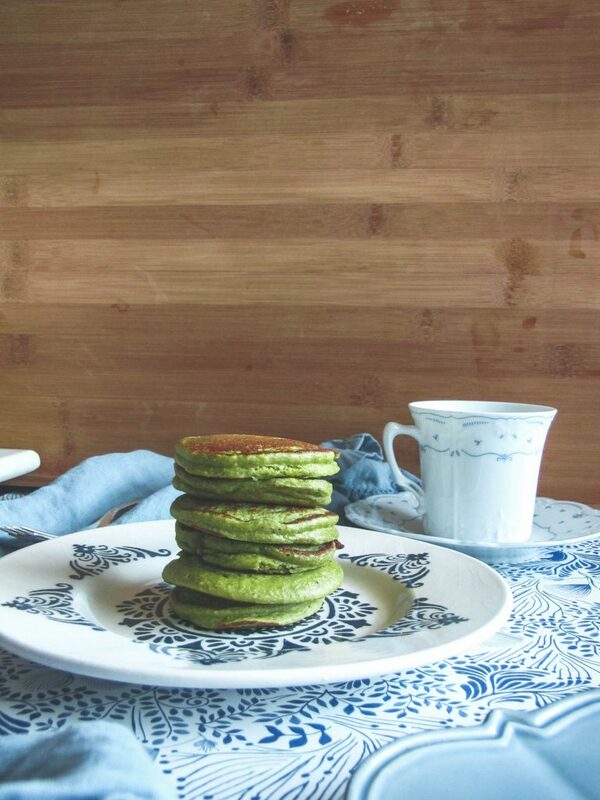 Serve with maple syrup, maybe a hot cup on genmaicha and enjoy. 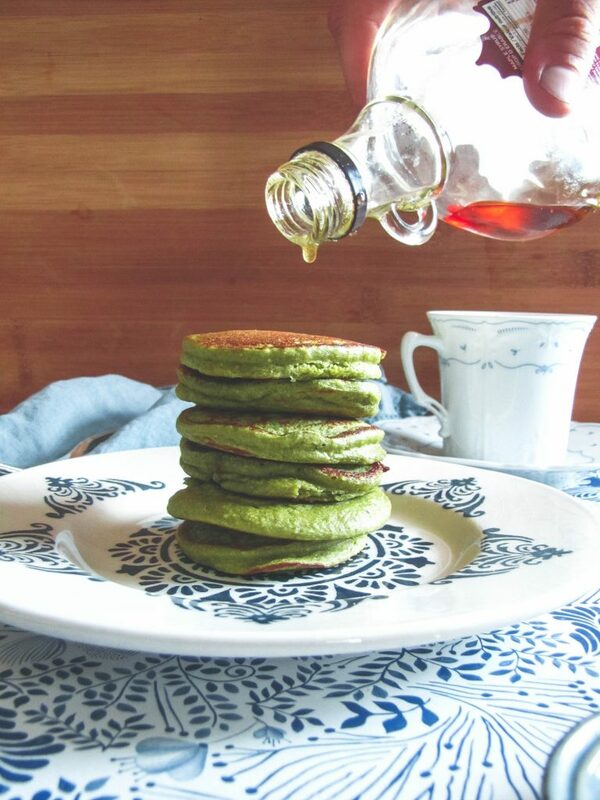 These mini matcha pancakes are so deliciously cute and healthy. 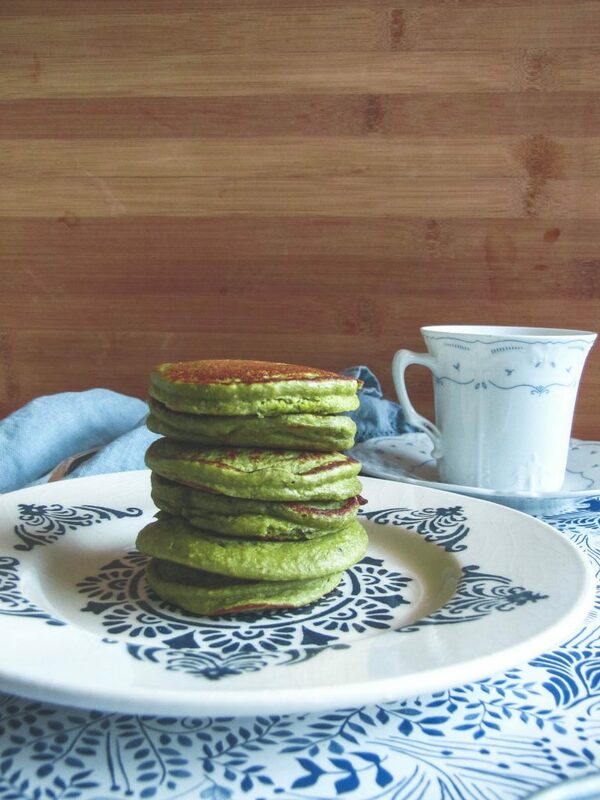 They are fluffy, delectable and have a slight savouriness or umami flavour from the matcha. I hope you get to enjoy them from your morning breakfast or brunch. Wishing you an amazing and positive filled day! 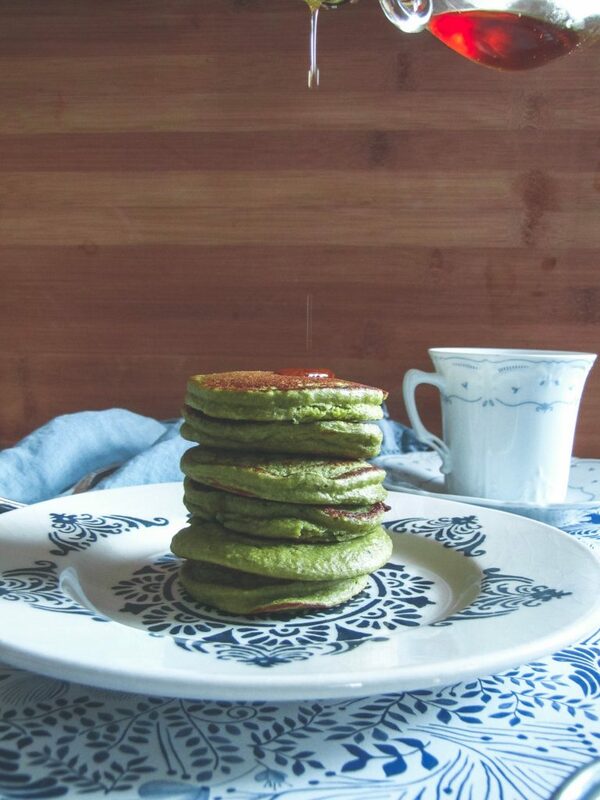 TIP: If you use thicker oats, let the pancake batter rest for 30 minutes to let the oats soften up a bit.